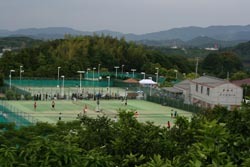 It is one of the largest tennis parks in Wakayama prefecture. There are 20 tennis courts, a barbeque garden and an accommodation facility which has 3 western style rooms and 11 Japanese style rooms. 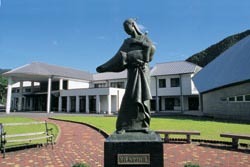 It is used for lodging and training by college and high school students. JR Kinokuni line Get off at Wasa Station. 10 mins on foot. 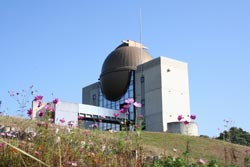 An astronomical observatory equipped with a one meter caliber reflecting telescope. The Planetarium has 90 seats. There is also a restaurant, accommodation, a playground and a park where you can feed squirrels. It sells local specialties such as charcoal products, guinea fowl, fresh vegetables and fruits harvested in Hidakagawa Town. 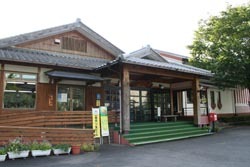 It is located by the Hidaka River. 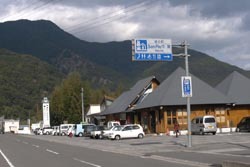 There is a hot spring, accommodation and a restaurant. JR Kinokuni line get off at the Gobo Station. It is located near the longest wisteria trellis in Japan (1646m) and the best location for echoes. There are accommodation and restaurant. Take a bus and get off at the Tairabashi stop.